The attorney for a suspect charged in the assault of a Richmond Sikh man said it's a case of fraud, not a hate crime. Two men from Texas, Chase Little and Colton LeBlanc, pleaded not guilty to hate crime charges Monday in Contra Costa County court. 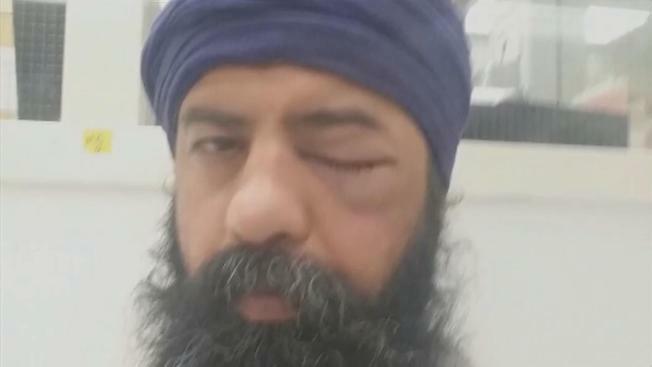 They're accused of attacking Richmond resident Maan Singh Khalsa last month. Prosecutors say the men targeted Khalsa in the assault because of his ethnicity. But the suspects' attorneys insist there's another side to the story, and LeBlanc's lawyer, Joseph Tully, claims the charges are based on fraud. "There's a big self-defense claim there," Tully said. "One of the individuals was struck by a car by the complaining witness in this case, so that preceded everything." "We went into a long investigation before filing charges to make sure we had not only the right people charged but also the right charges against those who are accused of what are very serious crimes," O'Connell said. Khalsa told NBC Bay Area he had to have his finger amputated last week because of the attack. The two suspects are due back in court for their preliminary hearing in February.